Stand and meridian ring made of brass, wooden horizon ring and paper scale. Representation of stars and constellations as they would appear on a sphere (Celestial sphere) of infinite radius with the Earth at the centre. Given a particular time and location on the Earth, can be used to determine what will be visible in the sky. Decorated with drawings of the imaginary objects making up the constellations. The background is blue and the stars are in white with the size indicating magnitude down to 6th. 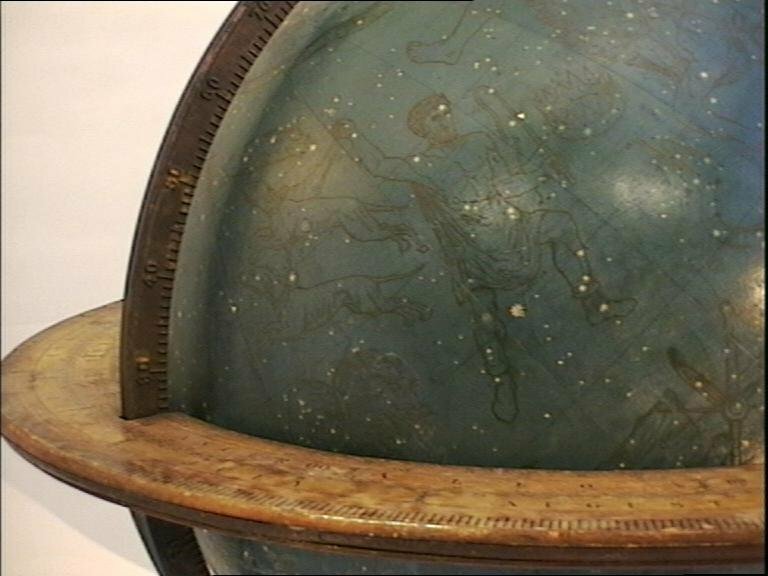 Construction of the first celestial globe is generally credited to Thales of Miletus, 6th Century B.C. and probably the oldest in existence is the Farnese Globe at the Museo Archeological Nazionale at Naples estimated to be from the 3rd Century B.C. 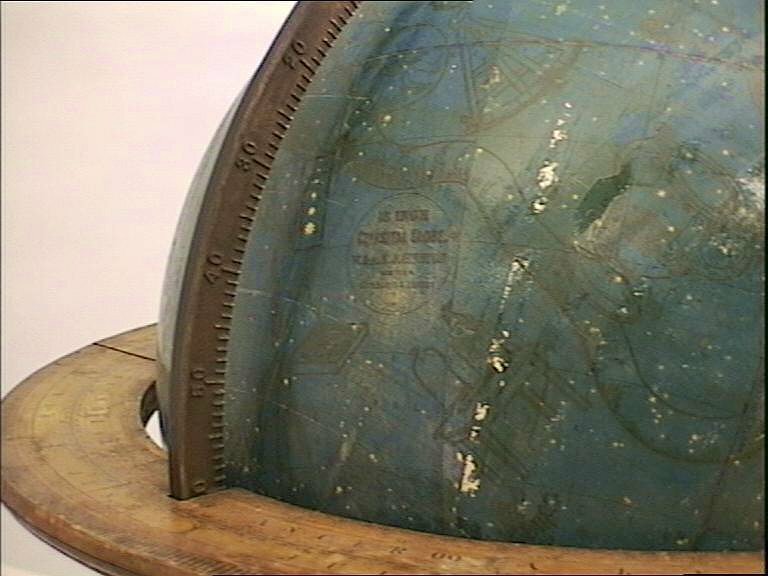 R. Lister, Old Maps and Globes, Bell & Hyman, London, 1979, pp.71-73.